Last month, a rumor sufaced that offered details about some of the alien creatures that Luke Skywalker (Mark Hamill) has been sharing his exile island Ahch-To with in Star Wars 8. These creatures are said to be small birds which resemble the actual puffin birds that can be found on Skellig Michael Island, the Irish island where the Ahch-To scenes were filmed in both Star Wars: The Force Awakens and Star Wars 8. Many fans noticed that these small avian creatures, who reportedly stand just 15 inches tall, are equipped with "razor-sharp teeth" and have been described as "a bird meets a Gremlin," are quite similar to creatures that have been featured on Star Wars Rebels and Star Wars: The Clone Wars, dubbed "convorees." While there has been no confirmation from LucasFilm yet, another report claims these creatures just may be convorees. Making Star Wars released the original report of these creatures in December, who were described as a "Star Wars version of a Furby". After the report surfaced, several fans contacted the site, asking if these could be convorees, prompting further investigation. The site's source claimed that the "gist of this design" is that these creatures are convorees, although the design will, "leave some room open for the animated shows' interpretation." 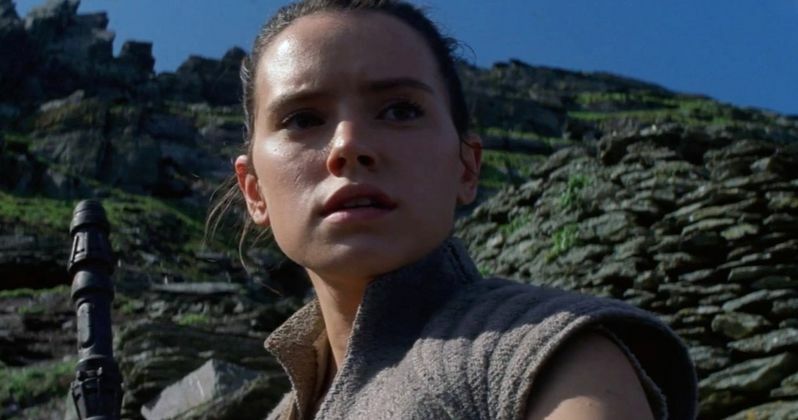 While this may seem like an insignificant detail right now, this report also includes a wave of speculation that could set up the convorees as a very important aspect of Star Wars 8. Fans first saw one of the convorees in a Season 3 episode of Star Wars: The Clone Wars entitled Padawan's Lost, where this bird was circling over Ahsoka Tano, after she is captured by the Trandoshan hunters. The convor bears the same colors as a mysterious Force entity known only as The Daughter, but the convorees often popped up in critical scenes in Star Wars Rebels as well. Convorees were seen in this series when Ahsoka confronts Darth Vader, and again in a scene with Bendu and Kanan. Back in August, Star Wars Rebels executive producer Dave Filoni was asked about these creatures, offering a very interesting response. "In some ways, I could say that it's a messenger, it's an observer. It is definitely something. And I would suggest - I would rather have fans debate - but I would suggest to say that whatever that thing is an avatar of has actually appeared in the animated Star Wars universe before." There is also a theory that these convorees have another purpose besides observing, and that is to actually preserve memories for the Jedi. It's possible that the Jedi have used the memories collected by these birds to give the Jedi access to their previous mistakes, in an attempt to try and undo the damage that has been done by the Sith. These creatures are said to be the protectors of Ahch-to, with this theory claiming that they have preserved the knowledge that was once held at Ahch-to, an ancient Jedi temple. It is believed that the first trailer for Star Wars: Episode VIII will debut in the next few months, so perhaps this footage will give us our first look at these convorees, or whatever these creatures truly are.